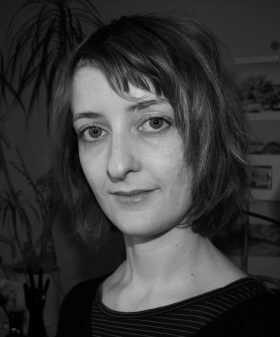 Katharina Sieg studied illustration at the Hochschule für Angewandte Wissenschaften in Hamburg. She enjoys working with different techiniques ranging from watercolours and coloured pencils to transparent paper collages realised on a light table. She presently lives and works in Hamburg, where she realises detailed visual realities while working at her drawing table.